The Chamsys MagicQ MQ100 Pro 2014 offers supreme event lighting control due to its 64 universes all of which are processed onboard with no extra processing nodes required. Complement with the MagicQ MQ100 Pro 2014 via a PC or Mac running ChamSys free MagicVis lighting visualisation software for full visualisation of all 64 universes. Be in complete control of your event lighting with this phenomenal piece of lighting control equipment. 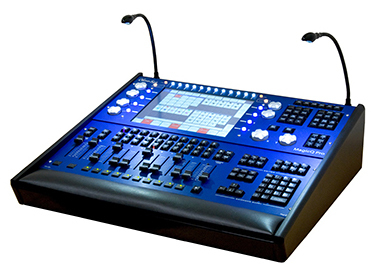 Production Hire own a state of the art Chamsys MagicQ MQ100 Pro 2014 for dry hire to support your live music event. Call or contact us for your free no obligation quote regarding Chamsys MagicQ MQ100 Pro 2014 dry hire. One of the Production Hire team will be happy to help.